Stressed out about your 2017 taxes? Know what to expect before you file. We may still be basking in the bliss of a new year, but we can’t fully say goodbye to 2017 until we take care of one crucial task: filing our taxes. Tax season officially opened on Monday, meaning that you can start filing for the 2017 tax year now. Some of us may be grateful to get the oft-dreaded task over with, but many will wait until the last minute. According to a TurboTax survey, 20 to 25 percent of all Americans dally until the last minute. This doesn’t help us with the stress of it all, which can be mighty — a 2017 report by the American Psychological Association found that Uncle Sam’s demands weigh heavily on our minds, with 28 percent of adults in the U.S saying that high taxes are a source of stress. “I think one of the best things you can do is just get started ASAP,” Andrea Coombes, an investing specialist at NerdWallet, tells NBC News BETTER. A great way to start is to use a tax estimate calculator online. H&R Block has one, as does NerdWallet and TurboTax. Here’s how to get the most out of this tool and understand the basics so that by the time the April 17 deadline comes, you’ll have this all far behind you. It’s an easy error to make because if the interest you earned is under $10, you may not receive anything from your bank. So make sure you look through all your monthly bank statements, and/or request a 1099-INT from your bank so you don’t end up possibly getting in trouble over a few bucks or less. 28 percent of adults in the U.S say that high taxes are a source of stress. How much do you really owe the IRS? This is the main question the tax calculator will establish, but the answer largely depends on what kind of withholdings you chose when you filled out your W-4 way back when (unless you’re self-employed, which is an entirely different conversation, unfortunately). Depending on the type of calculator, you’ll want to enter both your salary sans taxes as well as the amount that your employer withheld from your paychecks (this information will be on your W-2). “I see a lot of people put fewer allowances on their W-4, which means more is withheld, and then they get a bigger refund, some put more allowances so less is withheld and they end up owing,” says Perlman, adding that system is set up this way so that ideally you’ll break even when it comes tax time, but of course, it never quite works that way. When it comes to deductions, here is the key question you want to ask yourself: “Do my deductible expenses for 2017 exceed $6,350, the standard deduction for all single taxpayers ($12,700 if I am married and filing jointly)?” If the answer is “No,” then great, you’ve just saved yourself a spreadsheet -- or five. But don’t sell yourself short. For 2017 many items are eligible for deduction including charitable donations, state tax, moving expenses, disaster and theft losses and so on. These can really add up. 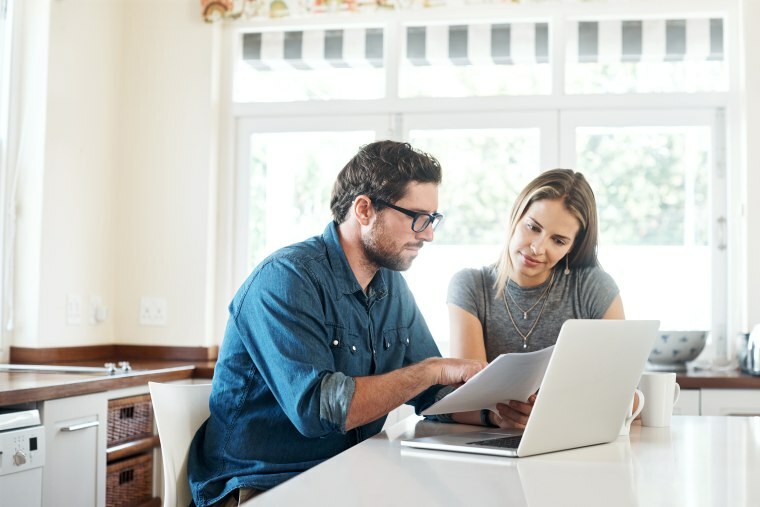 “Most people use the standard deduction — and it's certainly easier, but it’s a good idea to run those numbers and see what you have. Because why take a $6k deduction when you can take $8k?” says Perlman. You’ll also want to remember to factor in that everyone gets a personal exemption of $4,050, and this includes your spouse and any dependents, so if you have those, you can claim them for additional personal exemptions. This exemption will not exist when you file next year for 2018, so be sure to take advantage of it while you can. The online tax calculator may already factor this in, but it’s something to look out for, especially if you have dependents. If you’ve been doing your taxes for a while and not much has changed in your life in the last year, you should have a good idea of what these numbers on the tax estimator calculator should be; but if you’re new to this all, you may be feeling less certain. If you have any questions, you should really hire an expert, even though unlike in years past, when you go to file your taxes in 2019 for the present year, you will not be able to deduct tax prep services.